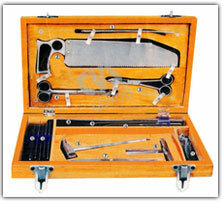 Post Mortem Instruments Set Complete for Small / Large animals. All Items in a wooden box. CVS 145 Bone Cutter s.s 6", 8"
CVS 146 Amputation Knife s.s.Amputation Knife s.s.
CVS 147 Bone Holding forcep. 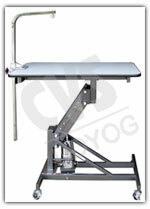 CVS 150 Bowl Scissor s.s.
CVS 152 Post Mortem hammer. CVS 154 Post Mortem gloves Assorted Size.